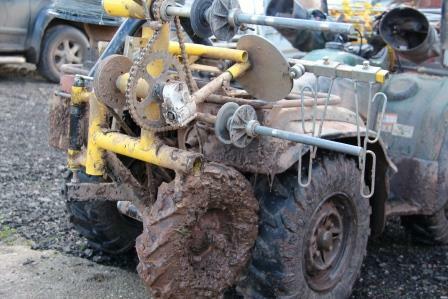 An aluminum mobile sheep handling system may be expensive but with a little care can last a lifetime. So although a new one may be outside your budget or difficult to justify for a limited number of sheep why not a second hand one. All our second hand systems are checked and serviced. We also provide reconditioned systems at a little extra cost. Please be aware however that second hand units are quite rare and may not be available, so call us for availability and pricing or check out the second hand stock on the website. So although a second hand system may not have the refinement of a new RAPPA Yard, you may find it suites your needs extremely well and fits your budget. But remember a new RAPPA yard has many upgraded and important improvements and may not be much more when it comes to cost. If there is a particular product you are looking check out our latest stock availability. 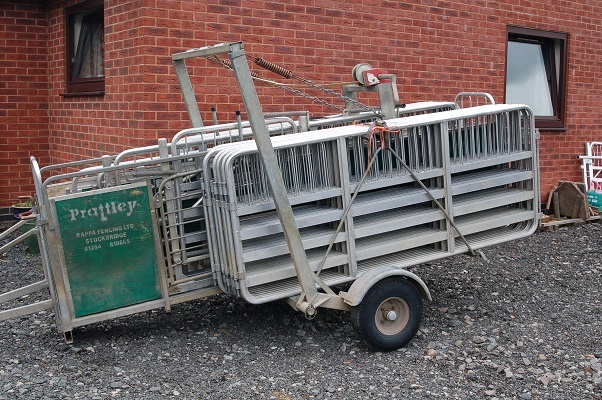 Whether it’s a well used Prattley mobile handling system, or an exhausted Rappa winder unit we aim to offer a respectable trade in value for your existing item against new. You may surprise yourself, here are some examples of recent typical part exchange deals secured. Call us on 0843 506 5430 to discuss second hand and part exchange opportunities.